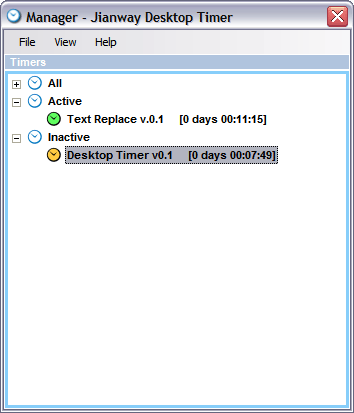 Latest Desktop Timer version uploaded on 3rd December 2008. When the file is downloaded, extract files and run DesktopTimer.msi to install the application. 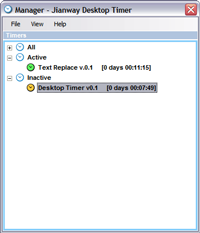 Desktop Timer can be used to track time spent using computer applications. We use it to improve efficiency and accuracy in project management. 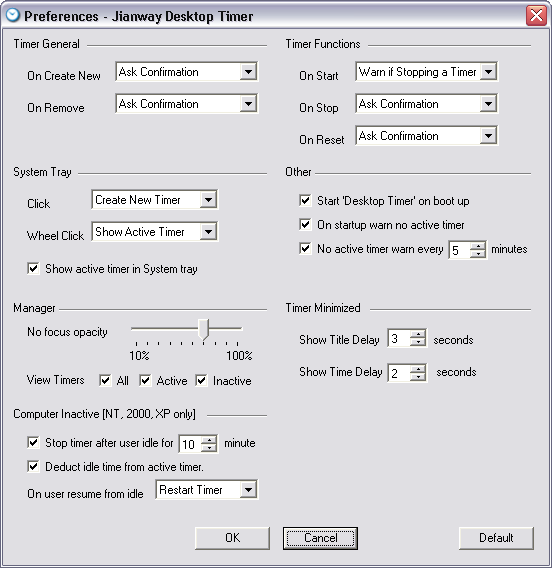 Preferences screen contains settings for the application management, Manager screen and timers' configuration. See Preferences screenshot for an overview of available settings. 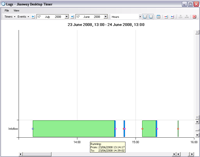 Manager screen contains timer management functions. See Manager screenshot. 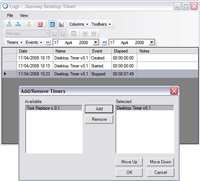 Timer is added by selecting Add Timer option from system tray application menu or from the Manager screen. Once created, timer can be started, stopped and reset. Unwanted timers can be deleted. All timers, including deleted timers, will be available in the timer logs. 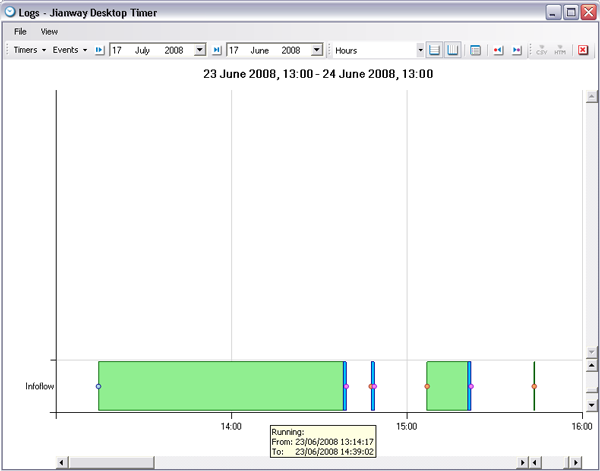 Timer logs can be viewed in 2 formats, Grid View and Gantt Chart View. When in Grid View, timer logs can be exported as CSV or HTML files. 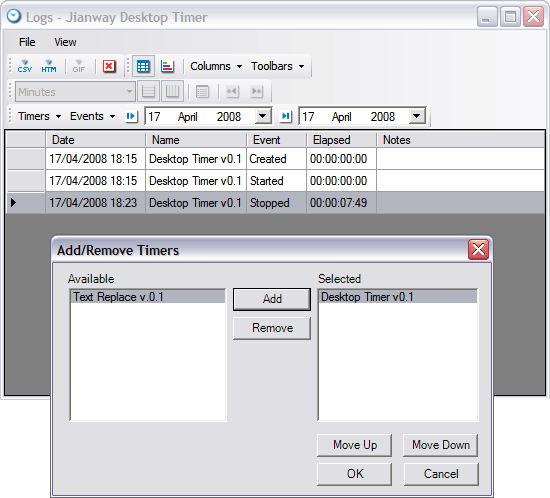 Log file "log.xml" containing information about timers is stored in "...\My Documents\Desktop Timer" folder by default. Please click on an image to open its larger, better quality version. Registered office address: 145/147 Hatfield Road, St. Albans, Hertfordshire, AL1 4JY, United Kingdom	© 2005 - 2012 Jianway Ltd. Registered in England No. 05322048.